Though I still want Poptropica to win... and this too. Hopefully Portal turns out successful and the same thing can happen with this and Poptropica. Yep, hoping for the second GB project to hit 10K soon, so they can work together and bring out the best of both projects in the final product! I love classic 80's movie Cuusoo. I'd prefer a kickstarter with goals and rewards than this, heck I'd prefer a kickstarter with a team (graphic designer a couple of brickarms people, a Christo and a LUG or two) and we could put together a better line of sets custom made for the fans, with printed figs, and instructions (digital or otherwise) where you only needed to get the general parts (BL or sets you own) and the custom pieces are included. Maybe something worth thinking about. Either way I love Ghostbusters, so I'm glad they made it, lets see what happens next. If even half of the voters poney up 150 euros, that's 0.750 of a million euros, I could work with that. Let's see Modular size set (Fire Brigade as the base maybe) with 4-5 figs and a slimer molded part. what do you think?? I for one will be buying 2 if not 3 of these sets. Ghostbusters and Lego were my 2 passions growing up, and with them combined, it's like heaven! This time last Tuesday, there was 7631 votes for this set. So in less than a week, it jumped almost 1/4 of the way. Seems people are excited for Ghostbusters Lego! Thrilled this set made it to 10K, now for the actual set to come about, I picked up the DeLorean but still think the original Cuusoo idea was better. If they keep going on BTTF, they need to do that train that is on the site. I would anticipate they only release the ecto-1 personally. I love the firehouse, but don't see lego to release something that high priced for CUUSOO. This will be like BTTF and have much needed figures and an iconic vehicle. I looked at this earlier and it still had about 1000 votes to go. Great timing! I just have to wonder how hard it will be for Lego to get the license...if they can go into Columbia Pictures/Sony Pictures and work it out it should be good. There are GB minimates out there though...no idea if this would interfere. I would buy that in a heartbeat! Would look perfect next to Modulars and give a fresh corner look to the line up. But, as with most of the sets we AFOLs want *cough* western modular *cough*, I'm not holding my breath. Here's to hoping! I think we will avoid the fate of the Western Modular as long as TLG is not already in talks for Filmation's Ghostbusters. This is still risky since TLG seems to only do one CUUSOO a review period and they have never approved such a massive set. Still with the numbers that they are getting for BTTF and the overall appeal of modulars, I think this is worth doing. I would buy one for the beautiful firehouse as well as out of love for the Ghostbusers. Slimer really needs to be redone though. It may well be that LEGO will do what they have done with Minecraft and release the Ecto-1 only as a first set then later on if the Ecto-1 sells enough, release a firehouse set down the track. Since this project hasn't passed review this doesn't technically belong in Licensed. I'll move it. That being said, I would love for this to become a reality. Even if it was just Ecto-1, I wouldn't hesitate to pick one up. I think this one will just come down to whether they can get the license. I think it has as much potential if not more than BTTF to be a best seller. Perhaps LEGO will break it up so that they release both Ecto 1 and the Firehouse separately and just split the minifigs between the two of them. If this gets approval I hope they make it completely Modular compliant (if it's not already). First, I would buy a few Ecto-1's in a heartbeat. 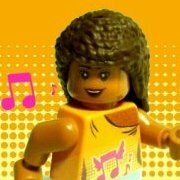 I really, really hope LEGO approves it and can secure the license. I was excited for BTTF; this surpasses that for me without question. Second, I would LOVE if they released the firehouse as well, but given the size, the fact that its CUUSOO, and the fact that the Fire Brigade is still around, I highly doubt they move forward a firehouse. Though I nver watch this show, I'm gald to see such live-action licenses get the supports, and with the BTTF example, it would come true very possibly. The only question is if TLG would produce such a massive building, which is almost a Modular Building set. We seldom get real modular licensed buildings but only playable models, such as Daily Bugle or Tony's Lab. In a very possible outcome, we might see a "thinner" version of this building. The rest (Ectomobile and Ghostbusters) still remain the same like BTTF. I would love this, I hope they produce it! Wait guys, I don't think the firehouse is part of the set. It's just shown on the first pic as background. The pics in the description only show the car and the 4 ghostbusters. Anyways, I'm excited by this. As far as LEGO licenses are concerned, Ghostbusters was on top of my list. I used to build the Ecto-1 when I was a kid and I'd love the see a real set based on that car. If this gets approved, I wonder if TLC will release it immediately though. They might want to wait for GB3 to come out and make a complete Ghostbusters theme. Guys, do we soon forget that what the picture is not necessarily what we get? 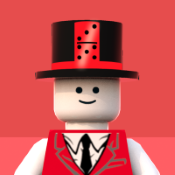 LEGO will re-design every Cuusoo winner. Cuusoo sets tend to be in the smaller end of the price range, so it is unlikely that we would get such a huge building. If it passes, we will probably just get the team, the car and one ghost for like $45 US. I'd love to buy this. With a few mods, it could be perfect. I do hope the car and firehouse are separate though or it'd cost an absolute bomb. Please, please, please let TLG make several sets for this theme. I love it! Bummer... I really like buildings, not so much on vehicles. 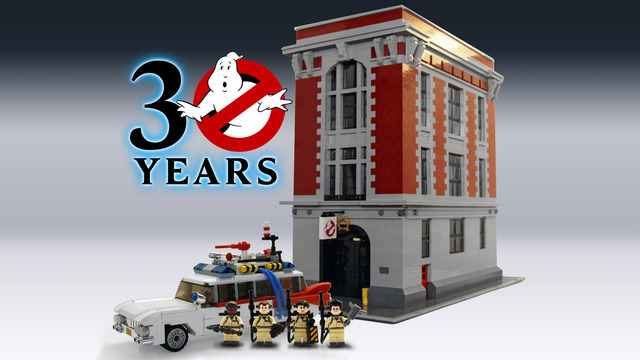 The Firehouse would make a great 16-wide modular (buy it in a heartbeat) and maybe include the Ecto-1. But the Ecto-1 is not really that important to me. I know many like the Ecto-1, it is a great reproduction, but not something I would buy by itself. It really depends. There were actually two different Ghostbusters projects that made it to 10,000 votes for this review period - this one and this one. While both have their own interpretations of the source material, they do both present the car and the four Ghostbusters themselves; the main difference between their concepts is that one includes the station and the other does not. They therefore have the perfect opportunity to choose whether to include the station or not (assuming they do in fact do either of them, of course, which isn't guaranteed but looks likely), by choosing which specific project to approve and turn into a set. Alternately, they could combine the two and produce a "middle ground" set, with the four characters and the ECTO-1, plus a small station facade or something, just not a full building.